"The "Christian community near New York City" that is Concordia College in Bronxville, NY offers daily chapel service, a very career-oriented curriculum, and a characteristically Lutheran liberal arts education. An "Achiever's Program" assists first-year students in adjusting to college-level academic work." What are the top 3 reasons someone should attend Concordia College Alabama? There's not many people here so you can get to know your professor personally. They are Christ Centered, Which means they want you to BELIEVE there is a GOD. What is a typical Concordia College Alabama student like? Describe the type of person that should attend Concordia College Alabama. 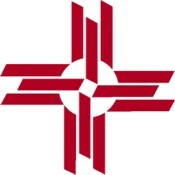 Concordia College operates under the auspices of the Concordia University System (CUS), a corporation of The Lutheran Church--Missouri Synod (LCMS), comprised of ten colleges and universities across the country. Concordia College is accredited by Southern Association of Colleges and Schools (SACS). What are the top 3 things that students do for fun at Concordia College Alabama? The average student pays $12,836 for tuition, fees, and other expenses, after grants and scholarships. Total stated tuition is $7,920, in-state and on-campus, before financial aid. Learn more about financial aid at http://www.ccal.edu/?q=financial-aid. Estimate the net price for you at http://www.ccal.edu/netprice/netprice/. 41% of full time students continued studying at this school after freshman year. Concordia College Alabama participates in the for college athletics. Want more info about Concordia College Alabama? Get free advice from education experts and Noodle community members.